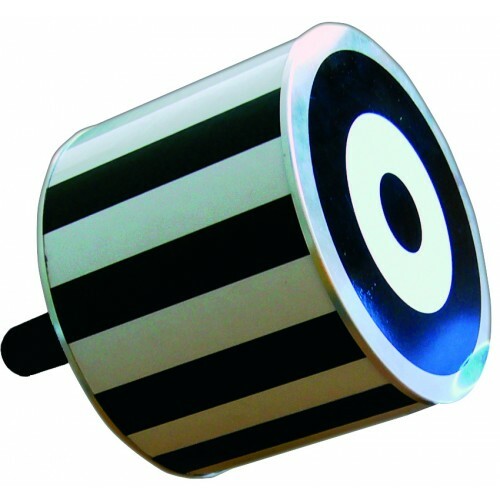 Black and white striped drum to test the Nystagmus reflex. 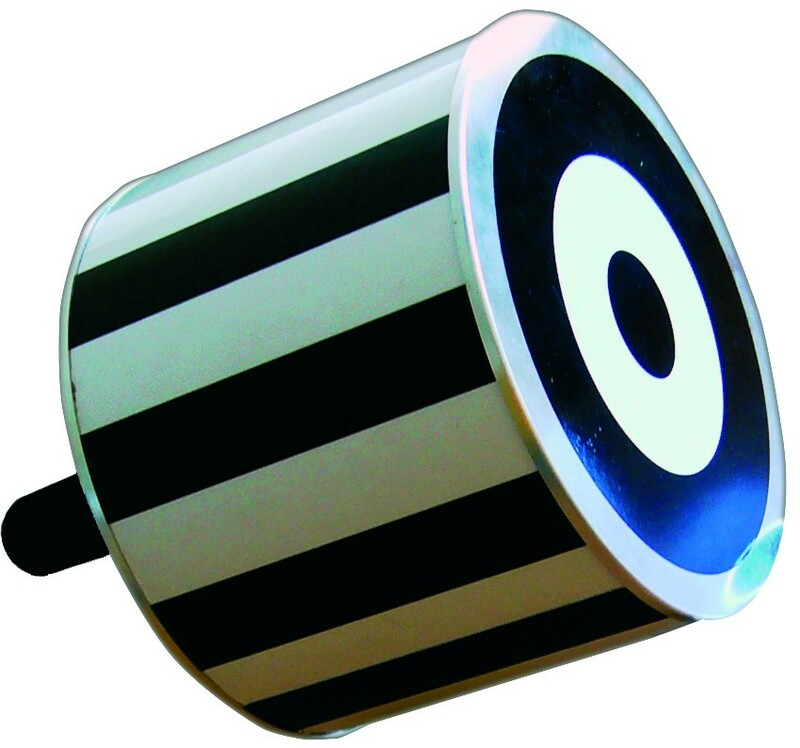 The drum's diameter about 21cm, including a retina disc. With ball-bearing axis and plastic handle. Base and lid are made of aluminium.